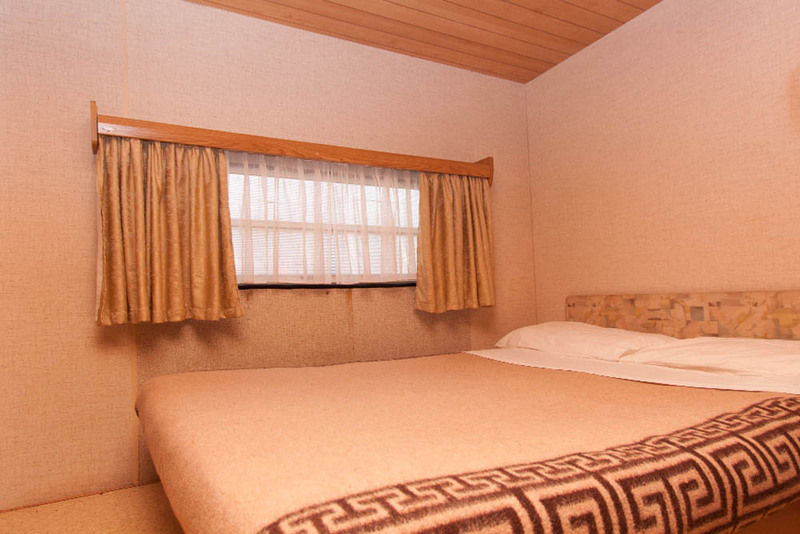 Our bungalows are simple and comfortable. 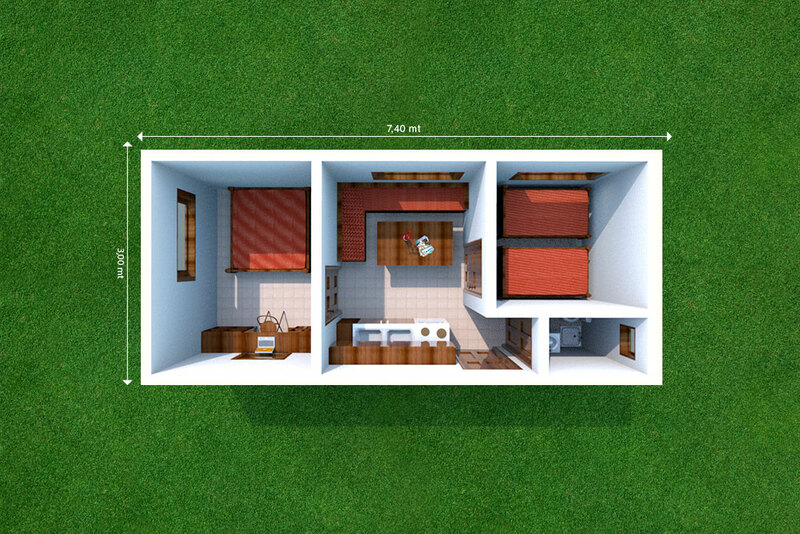 They have two bedrooms, a kitchen, bathroom, and veranda. 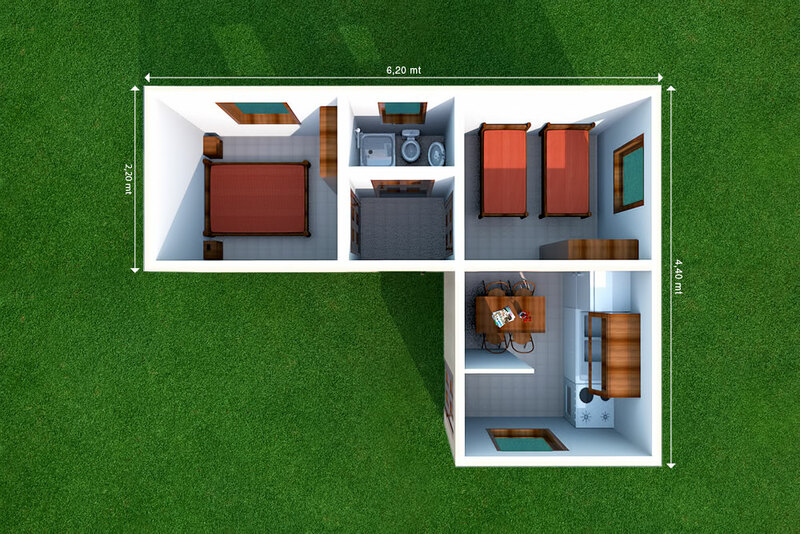 Each has a double bed and a wardrobe in one room and either two single beds or a bunk bed in the other. 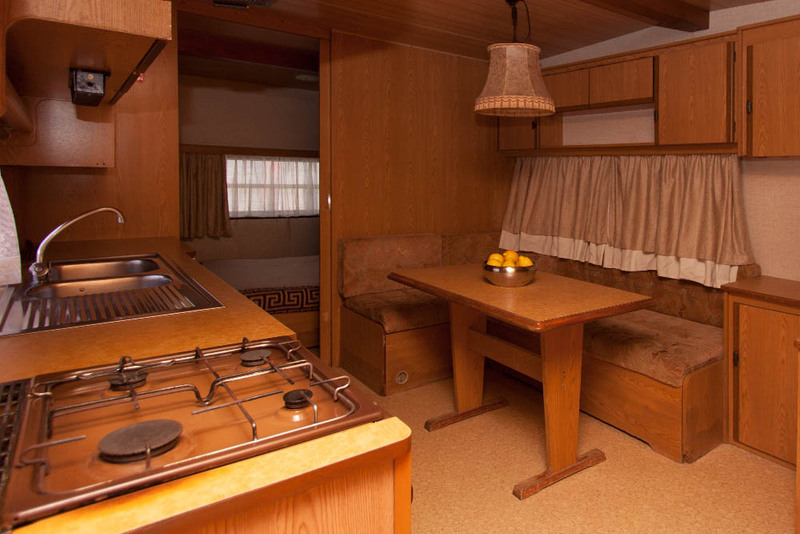 In the kitchen there is a hob, a gas oven, a sink, refrigerator, table, pans, cooking utensils, crockery and cutlery. The bathroom has a toilet, wash basin and shower. 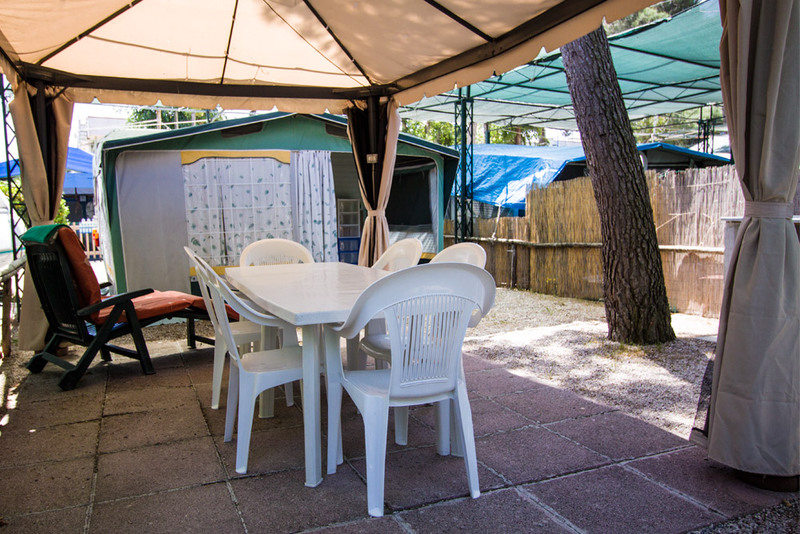 The outside patio is covered and equipped with table and chairs. 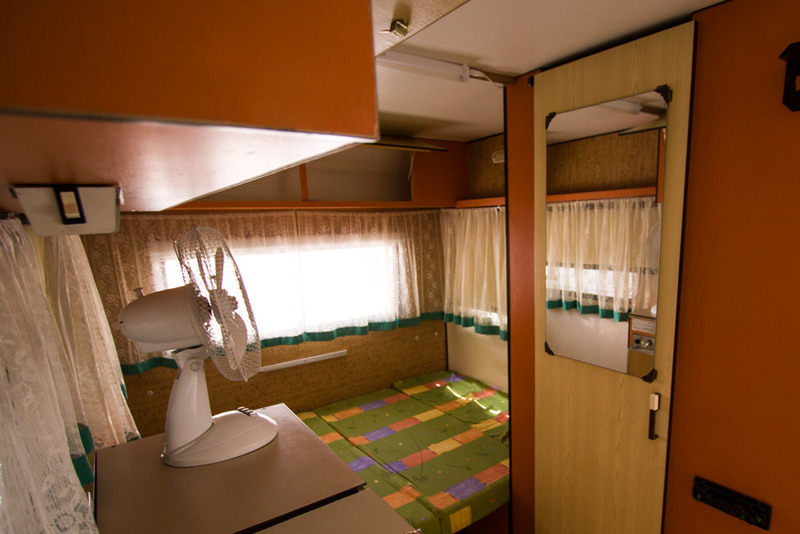 Also available are some comfortable mobile homes. 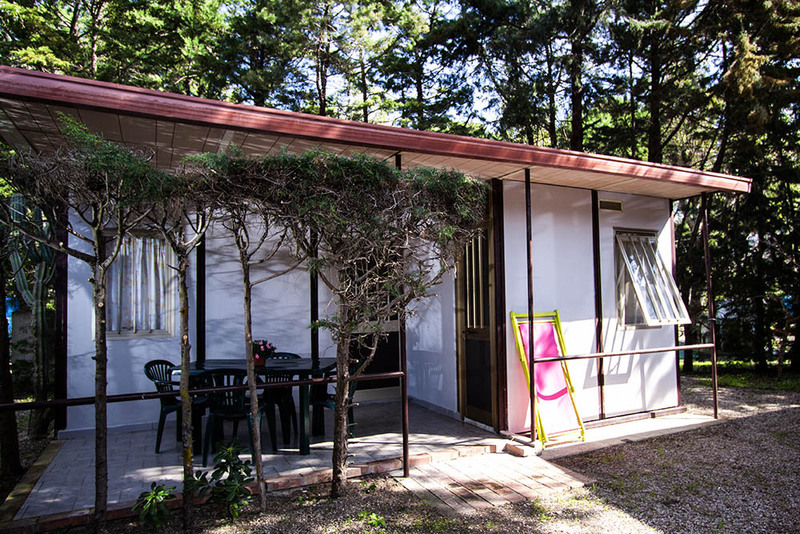 They have two bedrooms, kitchen-dining room, bathroom and a large outdoor area. 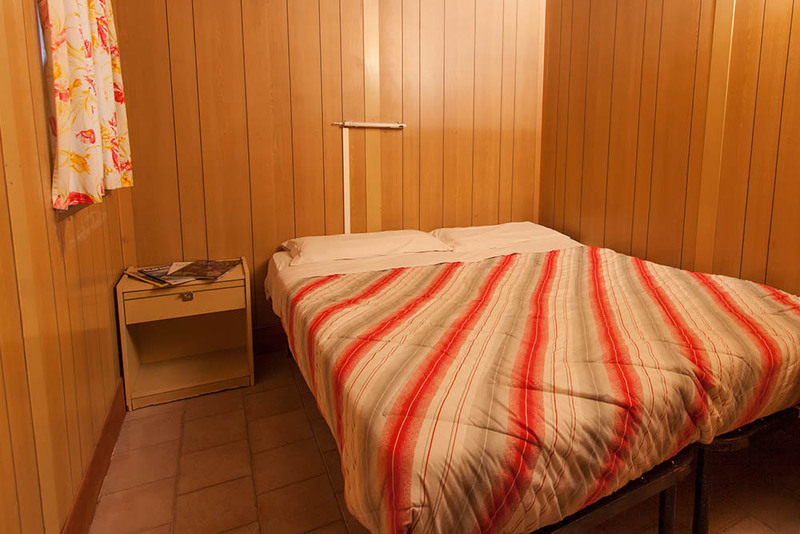 In one bedroom there is a double bed, wardrobe and a small table and in the other are two single beds and a wardrobe. 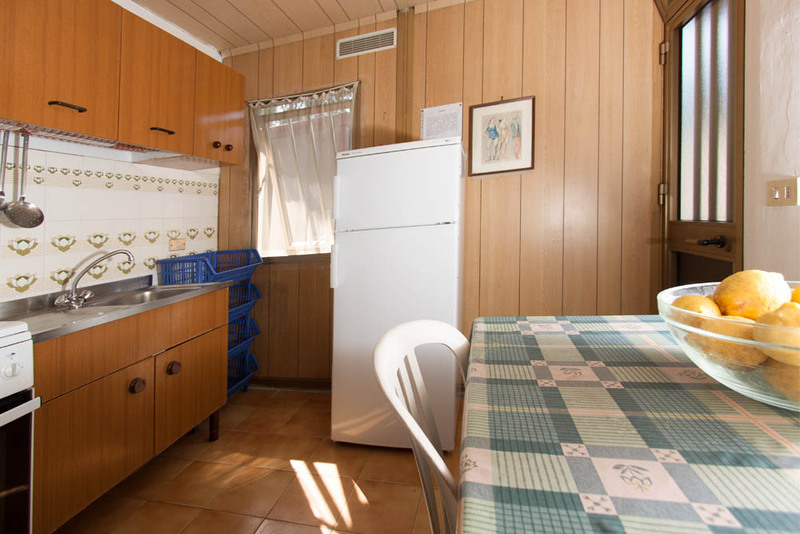 In the kitchen-dining room there is a hob, a gas oven , sink, refrigerator, table and a comfortable sofa. Also pans, cooking utensils, crockery and cutlery. The bathroom has a toilet, wash basin and shower. 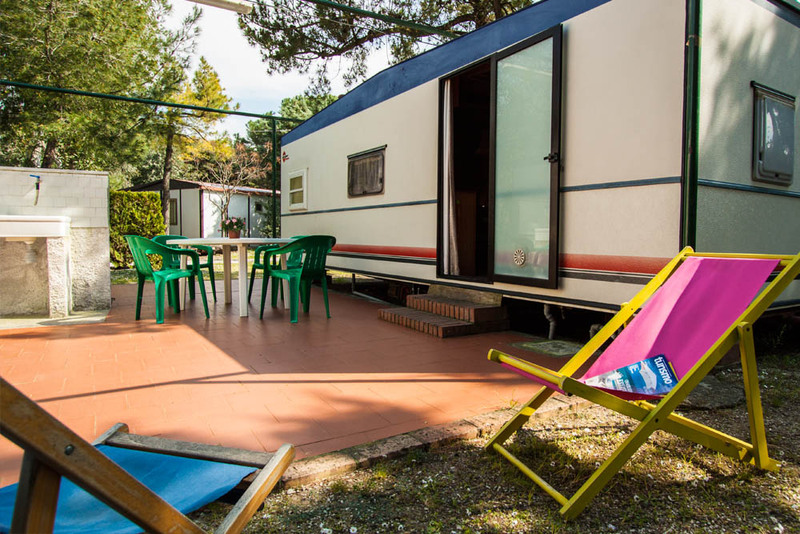 Our caravans for rent are on spacious pitches with a private wash basin with drinking water and an outdoor kitchenette equipped with a stove top, pans, cooking utensils, crockery and cutlery. There is also a table and chairs. 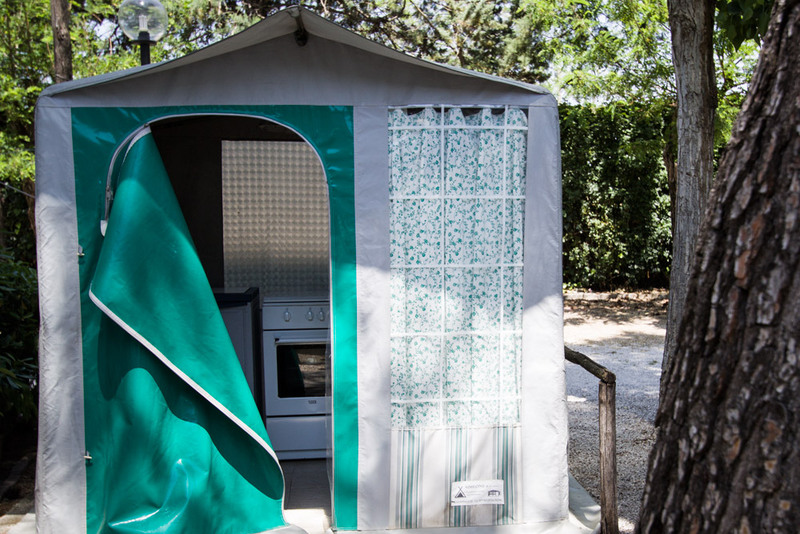 Bed linen and towels are not included but are available, if required, on request. 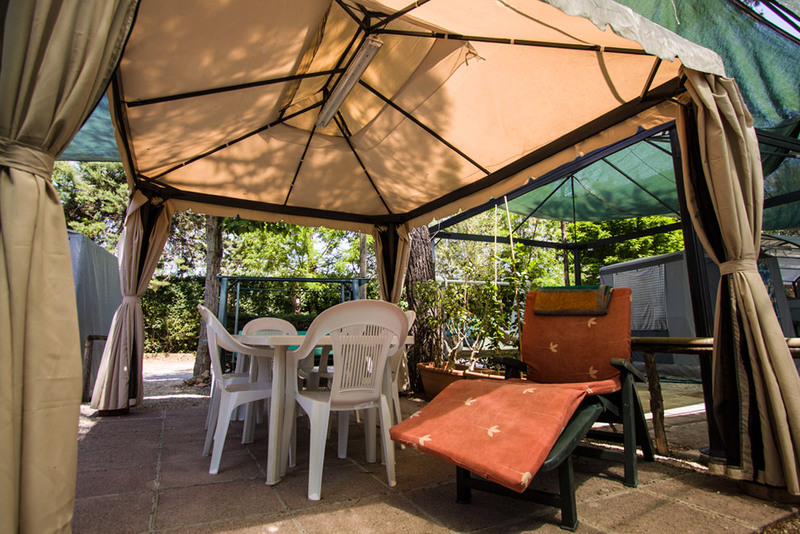 From 15th June to 15th September, 2 sun beds and a beach umbrella are available and included in the price.